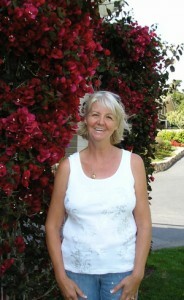 I've been sewing for many years but started quilting only two years ago. Pretty fabrics inspire me to create quilts and I love it when my quilts turn out as I envisioned them in the planning stage. 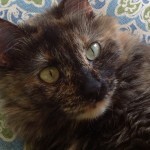 I have a quilting page on Facebook called "Quilting with Pepper". Pepper keeps me company when I sew and loves to lay on top of everything quilted or plays with everything that isn't nailed down. Every little square represents something I have made over the years. 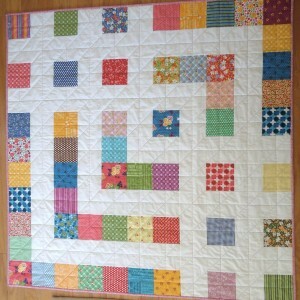 I just wanted to create a happy, colorful and cuddly quilt. 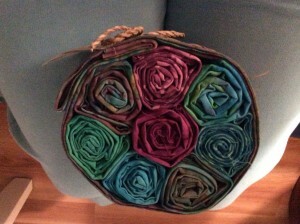 After watching Jenny's tutorial and admiring her choice of fabrics, I just had to make this. 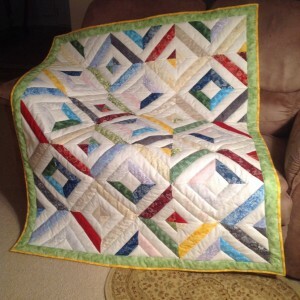 I Already had the binding tool and was using it everytime I put binding on a quilt. Am usually not into dark colors, but this spoke to me. I was inspired by Jenny's dresden flower tutorial and decided to create something sunny and bright for my kitchen table. However, my daughter fell in love with it and you know how that went! It is now gracing her table and I get to enjoy it everytime I visit her. 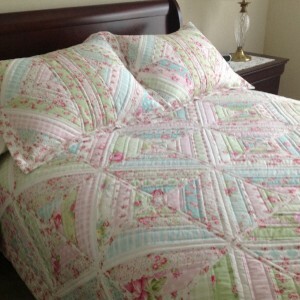 Fell in love with this fabric line the first time I laid eyes on it and needed a bedspread for my guest bedroom. 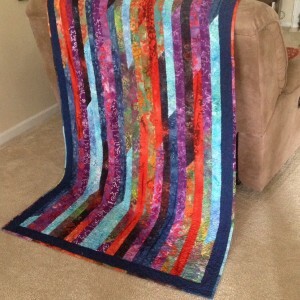 This is the first quilt I made and also my first jelly roll race quilt? 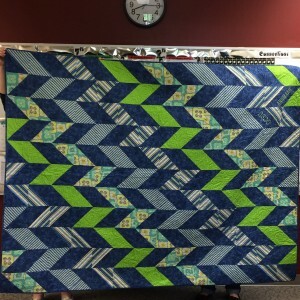 It started my quilting adventures. 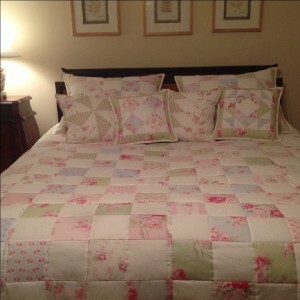 I wanted a bedspread for my queen size bed and no matter where I looked, couldn't find what I had in mind. So .... 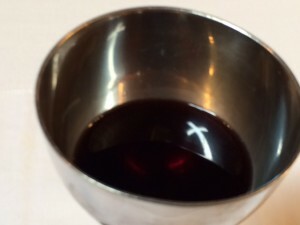 I created it! Love the way the spread, shams and throw pillows turned out and my bedroom now looks as I envisioned it. I did not use a pattern and improvised as I went along. The little throw pillows are all made of half square triangles. This started out with two Bon Bon Bebe charm packs, white Kona Cotton yardage, 16 yellow 2 1/2" squares and an "I don't know what I am going to make yet .... just want to make some flying geese". 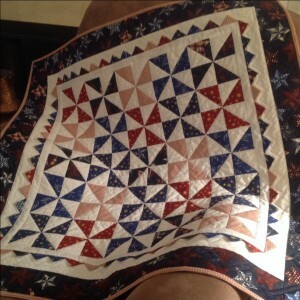 After watching Jenny Doan's "The Dutchman's Puzzle Quilt" tutorial to make the flying geese, I came across her new tutorial called "Love Notes Star Quilt" and decided to combine the two patterns and before I knew it a quilt top made of mostly half square triangles emerged. 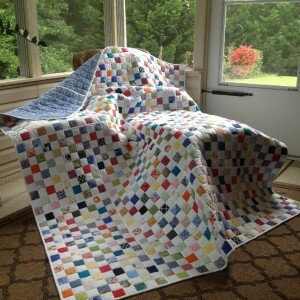 The finished quilt measures 59"x59" and is a very generous lap size. 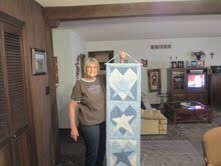 I quilted it on my home sewing machine by stitching in the ditch. Not much of a story to tell. 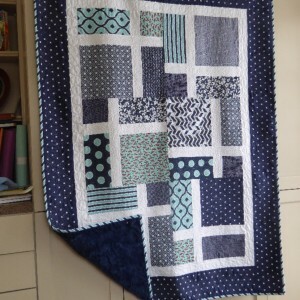 I watched the tutorial for this quilt and fell in love with it. 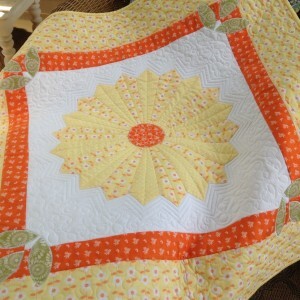 Wanted to create something different and realized that there are not many orange and white quilts out there. 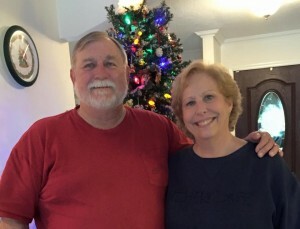 So I created one! 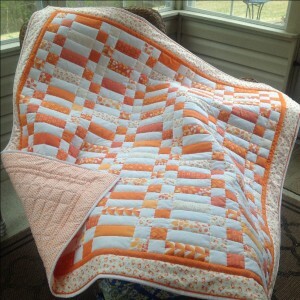 When I posted the finished quilt on a FB quilting site, I received several thousand "likes" and close to a thousand positive comments, and people just loved the fact that my quilt was orange. I was so proud and tickled "orange". Answered many many questions and people also liked my flange binding (which, by the way, was my first ... and of course I followed Jenny's flange binding tutorial). 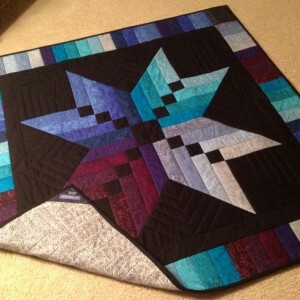 I've had several offers on this quilt, however, I think this one is going to be for me. 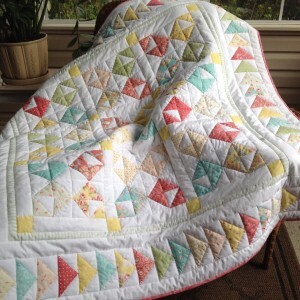 I made a 3 quilts using Janet Clare's Hearty Good Wishes and More Hearty Good Wishes fabric collections. 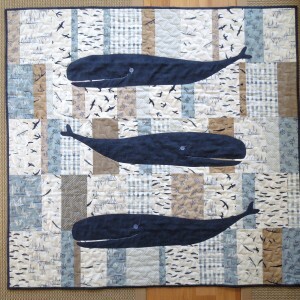 This one features 3 very large whale appliques. I was given 2 charm packs and decided to combine them with a white tone on tone in a simple pattern to make a quilt that could be a child's quilt or a table topper or a "table" for a spring picnic. 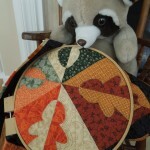 The quilting was done with 2 different variegated threads that coordinated with the charm fabrics. 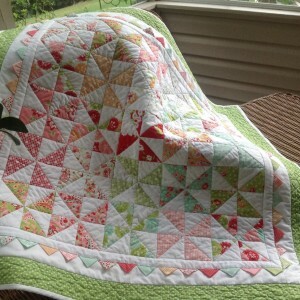 I made this baby quilt for a friend of mine. 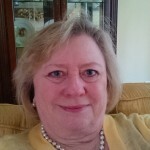 She sent me a picture of the 5 X 7 rug she was going to use -- 2 shades of blue with white stripes and a pickup truck in the middle. (kind of Pottery Barn looking) I found blue and red pickup truck small print fabric. It was perfect for the accent. Purchased everything in August, baby due in February. Then on a Friday in January I saw on Facebook the mom- to -be posted that the doctor scheduled a c-section for the following Tuesday. I spent the entire weekend sewing. The back is navy blue cuddle/minky fabric. 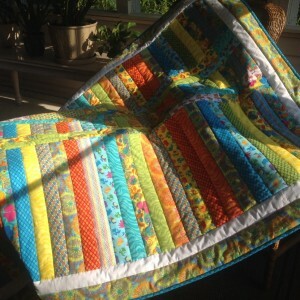 It quilts fantastically. 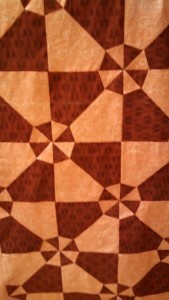 You can see the entire quilting design on the back fabric. PATTERN: MSQC Slice of Life 48" X 64"
This was a high school graduation gift.